Livia DeFilippis Barndollar has more than 35 years of experience representing parties in dissolution of marriage cases and in post judgment and appellate proceedings. She is a member of the firm in Pullman & Comley's Family Law Practice. Livia is a past president of the Connecticut Bar Association (CBA) and a past chair of its Family Law Section. She has been a member of the Executive Committee of the CBA Family Law Section since 1996 and has served as the Section’s treasurer, secretary, continuing legal education officer, vice chair and chair. 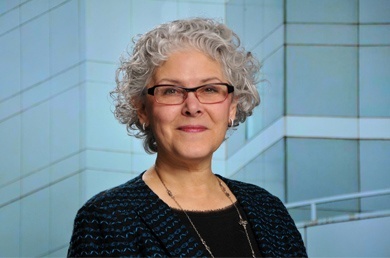 Livia also served on the CBA's House of Delegates and Board of Governors, as the chair of the CBA Pro Bono Committee and the Legislation Review Committee as well as of the Connecticut Council of Bar Presidents. Currently, she serves on the CBA's Committee on Professional Ethics, on the Fair and Impartial State Judiciary Committee, and in the CBA House as the representative of the Family Law Section. Livia is a Sustaining Life Fellow of the Connecticut Bar Foundation, serves on its board, and has served as the chair of its board of directors, Nominating Committee and Fellows Nomination Committee. She also serves as a board member of Connecticut Legal Services. In addition to her involvement in the Connecticut bar, Livia is involved in national bar association activities and is presently in her fourth term as a State delegate to the House of Delegates of the American Bar Association. She is a member of the American Counsel Association, its past president, and serves on its board of directors. She has been a member of the American Bar Association's Family Law Section Council and has served as its parliamentarian. Livia wrote the chapter on alimony for the Connecticut Divorce Handbook, and takes an active role in several family law publications. She has served as the senior topical editor for family law of the Connecticut Bar Journal since 2000. She has been an editor of the Bar Journal since 1985, and was editor in chief of the journal from 1994-1997. She also serves as an editor at large of The Family Advocate, published by the American Bar Association's Section of Family Law. Livia is frequently asked to present at meetings and symposia across the country, and has delivered speeches for new admittees' induction ceremonies. She has also conducted several addresses at the request of the Connecticut Supreme Court.